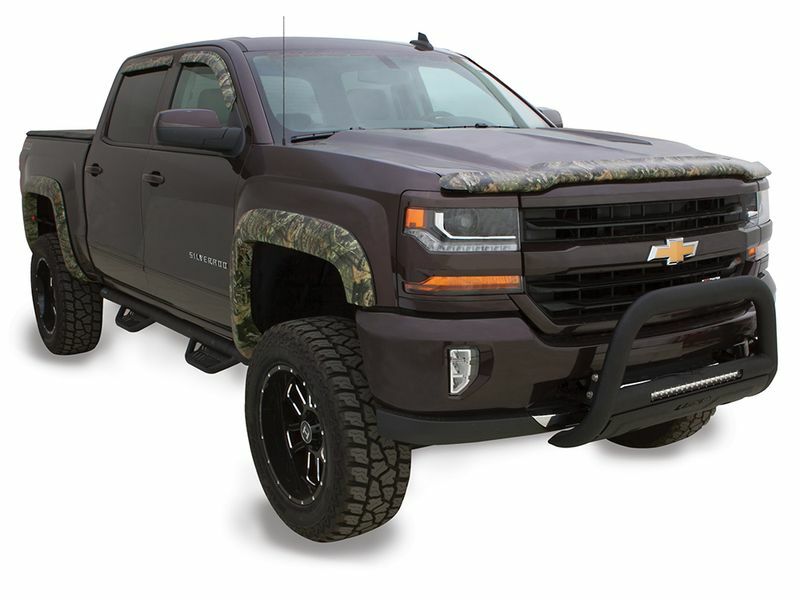 Stampede Realtree & Mossy Oak camo window deflectors are a great way to not only enhance the appearance of your truck or SUV, but also function. They are made from sturdy high impact acrylic giving them great strength. At the same time they are flexible enough to withstand the shock and vibration of whatever you put them through. If you're looking for function, that's great, but as mentioned earlier, these visors are also stylish and add a more rugged appearance. The camouflage patterns are high resolution & digitally color matched, giving you quality that can't be found anywhere else. Stampede Camouflage window deflectors mount easily with pre-applied 3M tape. They are designed to complement the style of your truck or SUV and are available in as many as 8 different camouflage patterns. 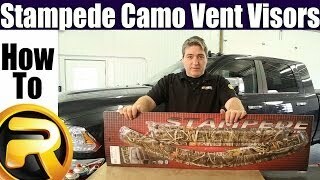 Exclusive and official manufacturer of Realtree and Mossy Oak window deflectors, Stampede camo is by far the best. Breathe new life into your truck by getting a set of Stampede camo window deflectors for your truck and see how fast you start turning heads in your neighborhood! Even though the pattern used is licensed through Mossy Oak or Realtree, the Stampede bed rail caps may not match other manufacturers camouflage due to variances in the manufacturing process. Stampede is offering one year warranty against defects in materials or workmanship on the camo vent visors.